The policy tweak is a step in the right direction, but deeper changes are needed — and coming. Navigating around construction sites may soon get easier for pedestrians, cyclists and transit riders. Today the Department of Public Works updated the requirements construction companies must follow when their worksites block sidewalks, alleys and roads. 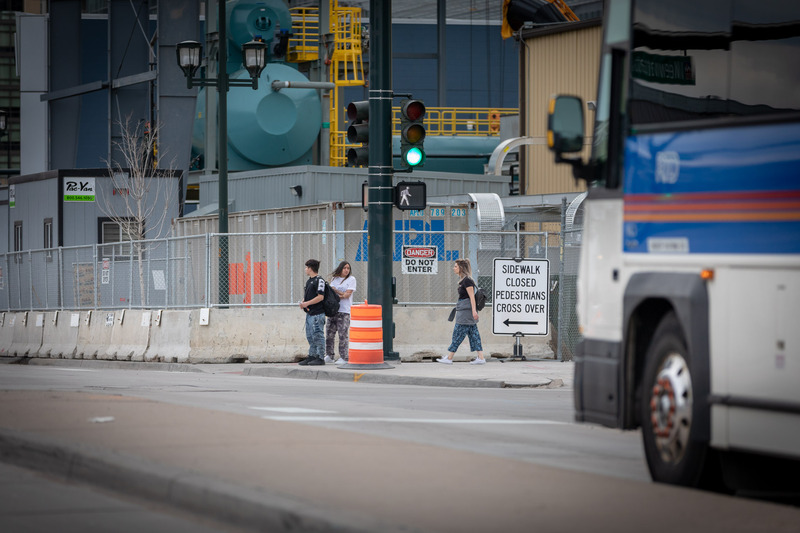 The changes clarify existing policies about when pedestrian canopies, barricades, signs and “provisions for pedestrians” will be required, which DPW officials expect will improve safety for all road users, especially pedestrians. “… all modes [of transportation] will be provided safe and convenient access around a project site, including pedestrians, people on bikes and scooters, transit riders, and drivers,” wrote Heather Burke, a spokesperson for DPW, in a statement. But the changes are a just a tweak to existing policies. Safety advocates say the city needs to make bigger changes — which are coming. Locantore says the city is in the process of working on such a policy update.